The Georgian Era of English history is the time when King George I took the throne in 1714. It was followed by the reign of King George II, III and IV and ended with the death of King George IV in 1830. The time period is known for its fast-paced social developments that were brought in by the efforts of the kings of England. The social changes that were being experienced during the Georgian Era affected the social lives of common people in a number of ways. However, there were certain aspects of the lives of people that remained unaffected by these developments and entertainment was among one of them. In the 18th and 19th century, playing games with their friends was one of the most common mode of entertainment that people practiced. As a result, there were a number of interesting games that they used to play, some of which have continued to exist even today, however in a slightly modified form. The social structure of the Georgian Era was not a very complex one. In the lower class households, both men and women used to be employed in factories and the houses of the gentry respectively. For the upper and rich middle classes, men were employed and used to spend most of their time at work. Women, on the other hand, had a lot of free time on themselves which they used to spend on entertainment. In order to entertain themselves, women used to play a number of games. Almost all of the popular games of that time were traditional and were passed on from an elder generation to younger. 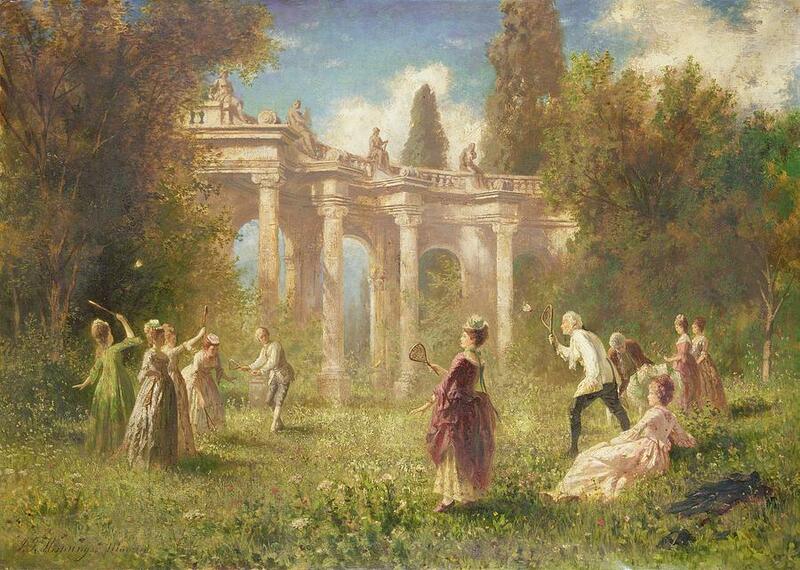 Women of the richer classes practiced these games, most of which were played outdoors, usually in private gardens. As a mode of entertainment, men used to practice games like horse riding and hunting. For women, indulging into sports that required a lot of physical strength was not considered elegant. As a result, women used to play games that were less strenuous and involved minimum physical motion. Most of the times, they used to spend their leisure hours swinging and playing hoops and some of them also used to practice archery. Besides these, bowling was a major game that women used to play during the Georgian Era. The bowling that was practiced in Georgian England was very different from the present day sport. It was usually played in a lawn and on grass. A typical game of bowling consisted of two balls of different sizes. The players were supposed to throw the small ball that would roll on the grass and hit the bigger one. Later, the traditional bowling went through certain changes and started to be called nine pins. In this, the player had to hit a set of nine pins with the help of a ball, which is much closer to the modern day bowling. 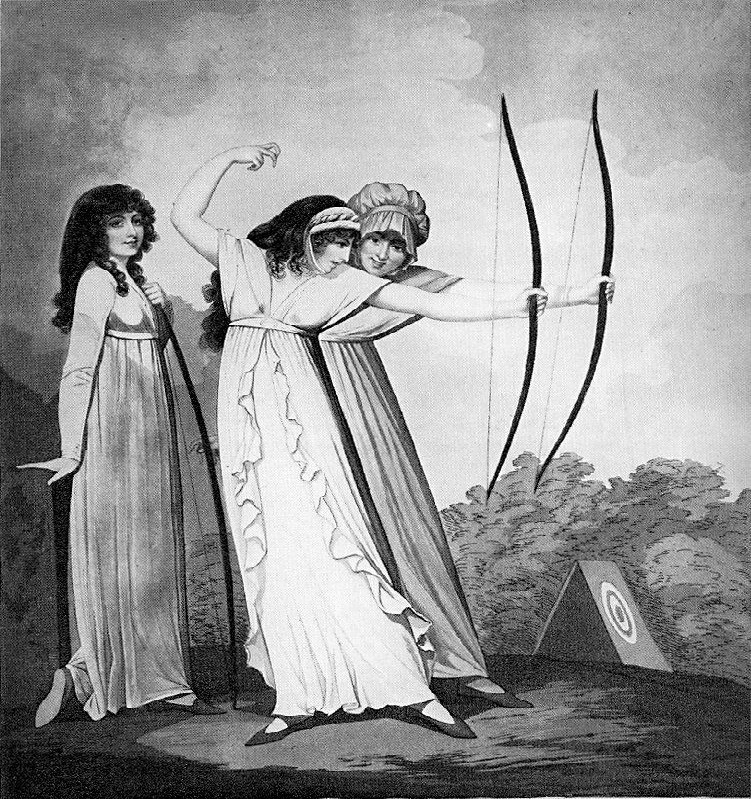 Shuttlecock was also a very popular sport among the women of the Georgian times, which can be considered an earlier version of the modern-day badminton. The game was played with no specific rules and was more like a team sport. The objective of the team was to keep the shuttlecock in the air for as long as possible by passing it between the players. There was no net and the players were allowed to roam about in a larger space if they wish. The Blind Man’s Bluff was another popular game which was prevalent only among the women in the Georgian Era. The game was played by a group of five or six women. One of the players were blindfolded and the others were supposed to run around them. The player who was blindfolded had to catch the others and identify them by touching the fabric of their dresses. 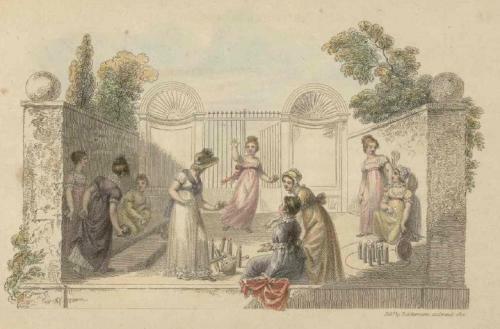 Indoor games were not very popular among the women of the Georgian Era. As a result, there was not a very large variety of toys available. For children, animal figures and dolls comprised of the most popular toys and some of them also used to play with hoops and spinning tops. During the early 1800s, the toy theatre became highly popular and it was a favorite toy of the young and the old alike. Printing had become much cheaper during this time and colored printing was also fairly common, which became a major factor for the popularity of this game. 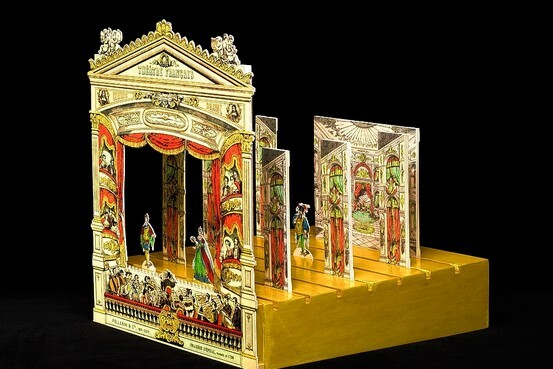 A miniature theatre was a small version of a conventional theatre which was designed by stacking printed sheets of paper on a platform. The toy theatre has found its place in a number of literary works of the Georgian Era, which reflects the popularity of this game. There were stories and musicals that were enacted on the toy theatre. Some of these stories were taken from children’s books and it was also common to enact a story that the players have come up by themselves.